The Visegrad Group, which today consists of four neighboring East-Central European countries—the Czech Republic, Hungary, Poland, and Slovakia—, started an alliance in 1991 to support one another in their integration to the rest of Europe through joint cultural and scientific projects following the tense period of the Cold War. 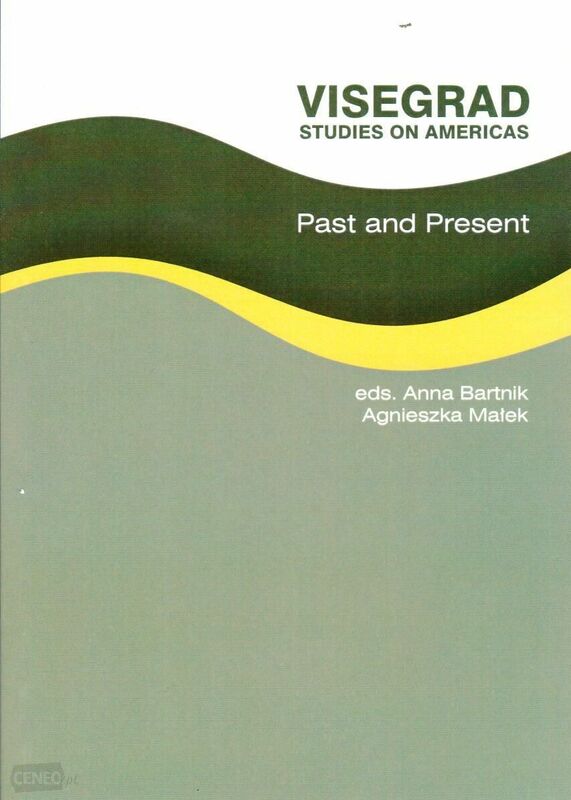 All four of them have been involved in the study of the Americas since at least the 1960s and 1970s, yet in this domain they have not cooperated until recently, when a diverse interdisciplinary collection of thirteen scholarly essays was assembled and published in 2016, edited by Anna Bartnik and Agnieszka Małek from the Institute of American Studies and Polish Diaspora at the Jagiellonian University in Kraków. 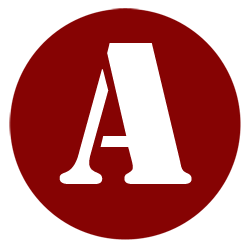 Consequently, the purpose of the Visegrad Studies on Americas is twofold: on the one hand, it aims to showcase various approaches to American studies practiced in East-Central Europe in the past as well as in the present, and, on the other hand, it aspires to inspire a continuing collaboration between the countries of the Visegrad Four in this rapidly developing academic field. The essays included in the collection cover a wide range of the countless topics that are researched within this academic discipline. They were arranged in the volume into three general categories: the first three essays investigate the development, the institutionalization, and the current state and practice of American studies in Poland, Hungary, and Slovakia; the following six essays explore various past and present social and political issues within the Americas; and the final four essays examine the descriptive and influential nature of American cultural productions in the forms of literature, cinema, and theatre. The first paper of the collection, “Across the Atlantic – Why American Studies in Poland?” by Radosław Rybowski, begins with a general overview of the relationship between the US and Poland from the American Revolution through the institutionalization of the study of American history, society, and culture in Poland to local current trends in research in the field. Rybowski points out that the two Polish academic organizations concerned with American studies were both established in the tumultuous 1970s, when studying America was often used as a means to tackle political and economic challenges within Central and Eastern Europe. The most unique feature of American studies in Poland, however, is that, instead of focusing on literature, it has always kept practical skills, history, and political science at its core. Réka M. Cristian charts the history of American studies in Hungary in a similar way in “Mapping and Remapping America(s): Perspectives in Hungarian American Studies,” starting from the period of the Cold War, when the discipline was seen as “a ‘subversive field’ of study,” through the 1990s, when it was institutionalized at three of the most prominent Hungarian universities, to a list of the Hungarian scholars currently teaching and doing research in the field. In addition to drawing attention to the expansion of research to the whole of the Americas, both Rybowski and Cristian conclude their essays by mentioning the most innovative and influential academic journals and scholarly associations of American studies in their respective countries, rendering their essays useful starting points for anyone interested in getting acquainted with the field of American studies, especially in Poland and Hungary. The last paper on the development of “Amerikanistika,” as this field is called in Slovakia, is titled “From hardware to soft skills – North American area studies in Slovakia: A view from Bratislavian Center for North American Studies Experience,” written by Peter Rusiňák, the executive director of the Center for North American Studies. Unlike the first two papers, Rusiňák’s focus is solely on the current state and the prospective future of American studies in Slovakia. He argues that, besides maintaining a business-related and academic partnership with the US, it is also crucial to reform American studies so that it includes more practical skills and applicable knowledge in order to ensure the discipline’s continued success and popularity. Moving over to socio-political topics, Ewelina Gutowska-Kozielska’s “At War with Hillary: The Constitutive Rhetoric of the Republican Party” is a case study exploring the constitutive function of the rhetoric of Rush Limbaugh, a conservative Republican radio talk show host. According to the author, Limbaugh and the Republican Party employed certain ideographs to establish a rhetoric of war and a dynamic of us vs. them with the aim to attack and alienate Hillary Clinton from the public during the 2016 US presidential election. In her paper, Gutowska-Kozielska thus demonstrates how such constitutive rhetoric, which includes the strategic, persuasive, and even manipulative use of language, contributes to the spreading of ideology and the gaining of social power. “The US Pivot to Asia: Historical Reflection, Current Situation and Perspectives for the Future,” co-written by Jan Bečka and Maxim Kucer, aims to evaluate the steps taken towards co-operating with the countries in Asia-Pacific during the two Obama administrations through documents and statements released by the US and other officials and to probe whether the 21st century might have the potential to become the “Pacific Century.” The authors argue that the pivot in economic relations and military-security issues under the Trans-Pacific Partnership was overestimated in its significance by European and Asian states and was nothing more than an attempt by the US to restore balance in the area. The following two papers discuss problematic cases of American citizenship and immigration. “US Citizenship of Overseas Territories” by Beatrix Balogh deals with the issues that surface when a person born in one of the US Overseas Territories is not granted the same rights as someone residing in mainland USA. Balogh analyzes the legal rights of whom she calls “Insular Citizens” through court cases and concludes that the biggest problem with this lag in immigration law is that the residents are not allowed to vote, which can have an immense influence on the outcomes of presidential elections. In a similar manner, Anna Bartnik discusses terminological, legal, as well as moral issues of illegal immigration in “Illegal, undocumented or unauthorized: A few reflections on unauthorized population in the United States.” Bartnik highlights how the use of certain terms can reveal a person’s attitude towards immigrants and claims that “unauthorized migrant” is the most neutral and politically correct term that can be used. “The departure of the Covadonga: The Catholic Clergy after the Triumph of the Cuban Revolution (1960-1961)” by Emőke Horváth gives a detailed account of why 131 Catholic priests were forced to emigrate from Cuba to Spain on September 17, 1961 on board the ship called the Covadonga. The narrative begins with the clergy’s initial celebration of the victory of Fidel Castro’s Revolution on January 1, 1959. This joy quickly turned into concern about the spread of Communism and the imminent decline of religion, which became the root of the revolution against Castro. Although Horváth also touches upon the involvement of the US and Russia in this conflict, her focus remains primarily on power relations within Cuba. William R. Glass’s “Justifying American Interventionism: The ‘Americans in Mexico’ Westerns of the 1950s and 1960s” forms a bridge between the second and third sections of the collection, as it compares fact—a historical event—with fiction—its representation on the silver screen. The author views “Americans in Mexico westerns” as open commentary on American foreign policy and analyzes two films: The Magnificent Seven (1960), which endorses American intervention, and The Wild Bunch (1969), which brings the destructive nature of interventionism to the forefront. Glass strengthens his analyses by also comparing the two films and thus demonstrates the visible shift in the opinions of the American general public on interventionism during the 1960s. TThe third cluster of essays in this collection is comprised of papers on the study of American history and culture through literature and other types of art, with regard to religion, collective memory, and identity construction. Krisztina Magyar’s “Womb and Breasts: Female Body Parts in Seventeenth-Century Puritan Political Communications” includes the close reading of four documents from the 1630s by John Cotton and Richard Mather and examines the conceptualization of the Church of England as mother in them. Magyar maintains that Cotton’s and Mather’s transposing of the corporeal imagery of the mother with a womb and breasts from the Bible to represent the Church of England in their sermons was their way of expressing their respect and gratitude toward their roots and ancestors on the Old Continent. In “From Mollywood with Humor: A Mormon Pride and Prejudice,” Irén Annus argues that “Mollywood’s,” i.e. the Mormon filmmaking industry’s, use of self-referential and self-reflective humor demonstrates the community’s self-assuredness and maturity. In a concise yet comprehensive paper, Annus exemplifies her theory by analyzing an adaptation of Jane Austen’s renowned novel titled Pride and Prejudice: A Latter-day Comedy (2003), which works with numerous Mormon stereotypes. For one, it presents Elizabeth, the main character, as a modern Mormon woman who questions tradition and poses a feminist challenge for Mormonism. The film even challenges Mormonism while avoiding being offensive by ridiculing its most unquestioning followers and encouraging the Mormon audience to view itself with laughter and contemplate its own culture. Orsolya Anna Sudár’s “Memory forgotten: the importance of narrative in collective memory through two case studies” explores the connection between visual documentation, representation, and memory of urban trauma with the help of urban theory and iconology. Drawing on the theories of Jacques Derrida and Michel Foucault, Sudár interprets physical space as the carrier of narratives and memory, especially in an urban context, where it also helps the individual place him or herself into the collective narrative. Sudár demonstrates through the cases of the Triangle Shirtwaist Factory fire of 1911 and the Wall Street bombing of 1920 how reporting can influence and how the lack of a memorial can hinder remembrance. Ivan Lacko’s “(Re)dramatizing, (Re)framing and (Re)writing History in Suzan-Lori Parks’ The America Play” explores the roles of omission and absence in literature and in the performative arts, along with identity formation and reformation. In The America Play, a void—the negation of “white” dominance in American history—is used to construct a presence—the African American identity itself. Parks’ play is a multilayered, metatheatrical piece that is rather difficult to interpret in Lacko’s opinion. In his critical examination of both the text and its performance, Lacko argues that Parks, by making the invisibility of African American history evident, gives new meaning to the void and in the process produces an alternate history. The fourteen authors who have contributed to the Visegrad Studies on Americas include esteemed professors as well as students currently working toward their PhD, giving the collection an enjoyably diverse voice. Nevertheless, all of the papers included define their terminology and subject matters in ample manner and are thus equally comprehensible and informative. At the same time, due to an apparent length limitation, the essays discuss their subject matters in brief and in general terms, especially the ones that aim to include the past, present, and future in one short paper, and, what is more, a few of the abstracts promise to discuss more than what the papers actually deliver. In the name of internationality, the abstracts at the end of the collection are included in both English and in the author’s native language. Sadly, some of the English abstracts contain several mistakes, and it is the corresponding papers that include the most grammatical, typographical, and citation-related errors as well, which sometimes make it difficult to follow the paper’s argumentation. Even so, the collection as a whole can be a useful source for someone getting acquainted with American studies or for those interested in the specific topics discussed in each brief essay, as most of them contain long bibliographies—although marked as reference lists—including further suggested readings. The Visegrad Studies on Americas is a collection by Americanists, written in a way that is accessible for anyone who might be interested in American studies. A welcome feature of the collection is that it does not only focus on the United States of America, but includes the whole of the Americas, as exemplified by Horváth’s and Glass’s essays, among others. What this book accomplishes is that it provides a wide-ranging yet not exhaustive map of what has been done and what is currently being done in American studies in the Visegrad countries. Let us hope that this volume might be the first among many, and that it might mark the first step towards even closer academic collaboration between the Visegrad Four in the future.